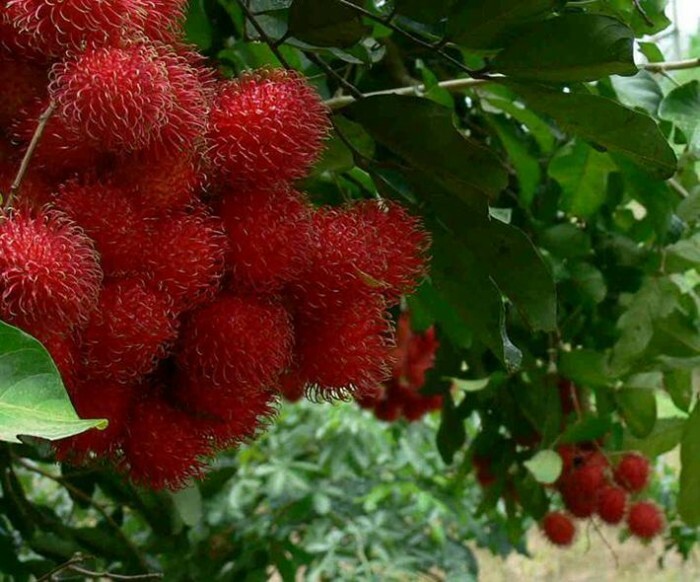 Cai Mon fruit orchard is situated in Vinh Thanh village, Cho Lach commune, Ben tre province. 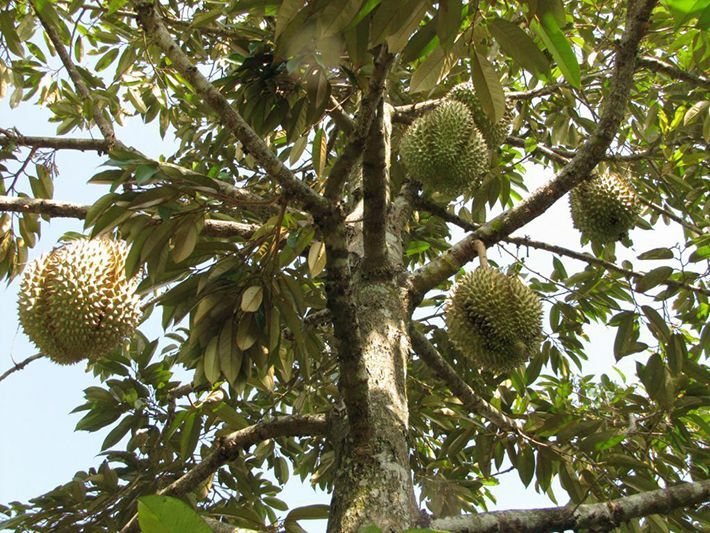 Cai Mon is a typical Southern village, where there are narrow roads covered with trees laden with sweet and juicy fruits. 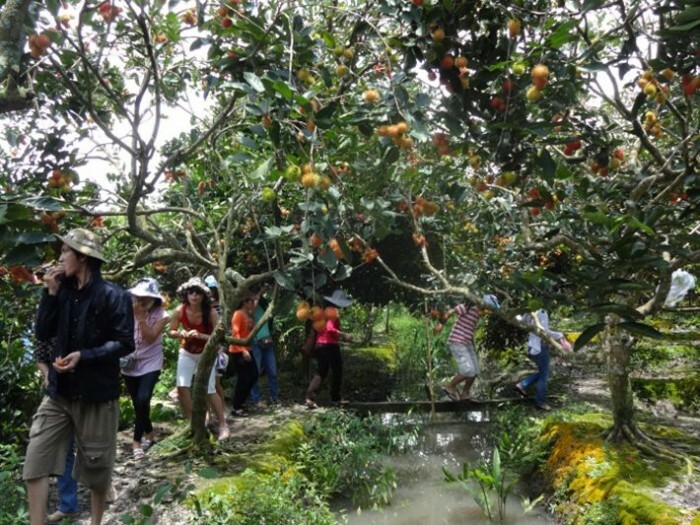 Tourists can visit Cai Mon orchard anytime during the year because it is always full of fruits. Cai Mon village also supply various and hundreds of fruit to the market every year, such as: durian, purple mangosteen, sweet mango, langsat or lanzones, longan and other fruits contained segments. 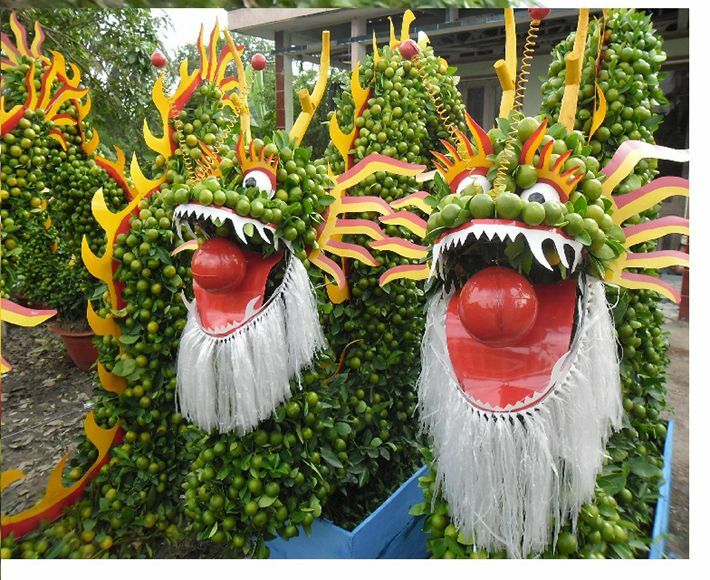 Cai Mon also converges many artists, who do the plant breeding and marcotting to create various ornamental plants and able to design those plants into distinctive shapes like a deer, a dragon, or a phoenix… Those products are fascinating and sold a lot to Bien Hoa, Thu Duc and so on. They are even exported to other South-East Asian countries. Once you visit Cai Mon fruit orchard, you will not forget all the fantastic moments that you experience here. Engaging deeply in the cool green atmosphere and you can only taste the true sweet flavor of fruits in the orchard.